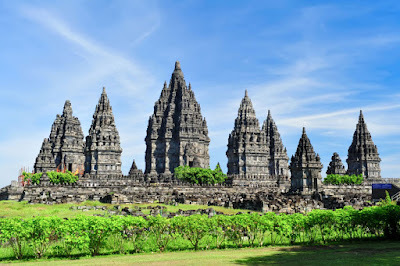 One Day Tour at Borobudur and Prambanan Temples? Why Not? Are you wondering whether it is possible or not to have a one day tour at Borobudur and Prambanan temples? Well, why not? This is highly possible, of course. If you are interested to join this one day tour, there is no doubt that you will be able to have fun while in Yogyakarta. The first thing to remember when you want to do this tour is that both of the temples are not located close to each other. If you want to take the tour, there are two possible options. So, let’s check this out. If you want to witness breathtaking sunrise in Yogyakarta, this tour will be a good choice. You need to wake up early to join this tour since you need to reach Borobudur before the sunrise. Mostly the tour will suggest you to get ready at 4am. Then, some of the tours may lead you to head to Setumbul Hill first before going to the temple. Here, you will be able to see a magnificent view of Borobudur which is covered by the mist. For you who are not morning person, you can consider this one day tour to visit Borobudur and Prambanan at the same day. Even though you may need to start the tour in the morning too, but it will be not as early as the first option. Most tours may suggest you to get ready around 5am so that you can arrive at Borobudur at 6am. After that, you will have a journey from Borobudur to Prambanan that takes about 2 hours drive. The tour usually finishes at 1 or 2pm. It means that you still have much time to explore Yogyakarta at that day. It’s no secret that the journey will be so much fun. But, for much better experience, there are some points that you better take into account. The temple complexes are both huge! Both Prambanan and Borobudur have a huge complex that will be exciting to explore. But, it may call for a hard work. So, here are the things you should prepare for the journey. • Comfortable clothes: Wear something comfortable for your tour because you will walk around to explore all the temple complexes. • An experienced guide: You can consider walking around the temples with a guide because it will let you to not get confused and learn more about the temples. Then, understanding the budgeting for your trip is a good thing to consider too. Most tour will include breakfast and handle the transportation cases. But if you hire a driver to take with you for the trip, you may need to learn more about the budget of each case. Now, you have known that it is surely possible for you to take a one day trip to Borobudur and Prambanan. If you are interested to experience this wonderful trip, visit www.jogjabromotour.com and learn about the best deal for your trip to the temples.